You guys. YOU GUYS. There is a fourth mystery by Sarah Caudwell! On my first day in London I made an early start. Reaching the Public Records Office not much after ten, I soon secured the papers needed for my research and settled in my place. I became, as is the way of the scholar, so deeply absorbed as to lose all consciousness of my surroundings or the passage of time. When at last I came to myself it was almost eleven, and I was quite exhausted: I knew I could not prudently continue without refreshment. 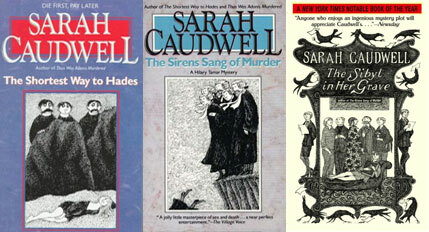 The last of the three, The Sirens Sang of Murder, was written in 1989, and after reading it, I mooched about unhappily for a while, assuming that Sarah Caudwell had simply stopped writing mysteries, and eventually resigned myself to my fate. Caudwell died in 2000. Natasha, I am relieved to say, took my intervention in good part, evidently regarding it as a matter for amusement rather than reproach. Indeed, though she made a good deal of fun of me for my soft-heartedness, she was perhaps quite pleased that I had saved her the possible unpleasantness of releasing Albany herself. He had spoken to her, I gathered, in a manner which she found lacking in respect; she had lost her temper and taken her revenge, without much thought for the consequences. When I enquired cautiously as to the nature of the insult offered her, it turned out that he had addressed her as tu rather than vous, not having, in her opinion, any right to do so. It just shows how careful one has to be — the French can be very touchy about these things. I read this book with complete delight, marred only by the fact that this now really is the last mystery I will ever read by this author. I cannot urge you strongly enough to track these down, and pour yourself a nice glass of champagne to go with them. Never heard of this author but how great these books sound. The first quotation just made me laugh aloud — how well I recognise this syndrome! Thanks. Oh, you’ll love them. They are right up your alley. Oh, that is so exciting that there’s a 4th volume. I loved that series. I was absolutely delighted to find that out! I may or may not have squealed. Oh I got all excited there, and then I counted the novels I have by her – and there are already four on my bookshelf. But I completely agree that she is wonderful and they are some of the crime novels I love the best. 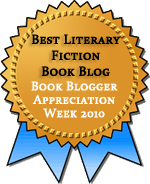 They even reward re-reading! So many mysteries are written every year, it’s hard to think that pockets of gems like this might be hiding anywhere. Wonderful to have some good news first thing in the a.m! Love Sarah Caudwell’s mysteries. How did this book slip through the cracks? But how nice to have it to look forward to….Thanks! I have no idea how I missed it in 2000! But to find it now is so rewarding. I don’t know — I thought it was about the same, maybe even a little funnier. Though the reunion of two of the characters was fairly touching. I glanced at this review in my Google Reader and thought, meh, this doesn’t look that interesting, but then you convinced me with your words. I think I am mainly swayed by the fact of finding a book by an awesome author when you thought no more books existed. :p The excerpts are charming! I wish I’d known about this in time to get one for my friend tim for her birthday, it sounds like the sort of thing she and I would both like. Oh, I’m just delighted you liked them! I know you’re not always a fan of mysteries, but I am so, so glad you enjoyed the first one of these. I thought they’d be up your alley. The only one I read was The Sibyl In Her Grave, and I was so depressed to discover that it was her last that I never went to the back list. But it was darn good and I should do that! Your excitement is contagious! I’m adding her name in my wishlist immediately. I think I’ve got her first mystery on my wishlist. I’ve got lots of others to read first, but I’ll be looking forward to reading Caudwell’s novels. Let me know what you think when you get to it! I think she’s not so well known — only four books in the series, and then she died. But she’s well worth knowing. I added the first book to my library list yesterday. I am looking forward to the series!